Back in June 2016 the British electorate voted to leave the EU. A lot has happened since then, but in many respects it remains uncertain how the UK will leave the EU on 29 March 2019. Clients and their advisers must accept that Brexit is going to happen and identify the risks and opportunities that lie ahead, both in the near term and in the coming months and years once Brexit has taken effect. After such a seismic event, uncertainty has proved to be the only certainty. 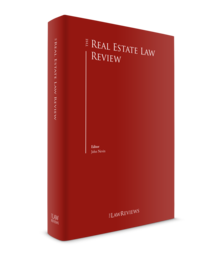 From the real estate perspective, the purely legal implications are of significantly less importance than the effect on market conditions. Perhaps the biggest concern is whether the UK (and London in particular) will continue to attract inward investment and retain its appeal as a country in which to do business and where people from around the world want to live and work. This will depend in part on the extent to which the UK's status is seen as dependent on its connection to the EU. Taking a more global view, it can be argued that the UK's position is such that membership of the EU has limited relevance and that London will remain a true global city irrespective of Brexit. The Prime Minister has confirmed that the UK will leave the EU on 29 March 2019. Although an exit deal has been struck with the EU, the Prime Minister now has the unenviable task of convincing members of her own party as well as the opposition that it is the right deal for the country. This will not be an easy task, especially with the future of the Irish border remaining such a highly contentious political issue. The Prime Minister's position has not been helped by her failure to secure a majority in the 2017 General Election and her consequent dependence on the deal with the Democratic Unionist Party of Northern Ireland. She has also faced vociferous opposition from within her own party and her position has been weakened by a series of high-profile resignations. Brexit is far from being a done deal. On 25 November 2018, a Withdrawal Agreement and Political Declaration were formally approved by the European Council. The Withdrawal Agreement provides that all existing EU law will continue to apply to the UK as though it was still a Member State during a transition period that ends at the end of 2020. At the end of the transition period, the European Union (Withdrawal) Act 2018 will remove the European Communities Act 1972 from the statute book and enshrine all existing EU law into British law. Brexit gives the UK the opportunity to choose those aspects of EU law that work while modifying or repealing those that do not. The process of modifying existing EU law will continue for a number of years as domestic law establishes its independence. The Political Declaration, although not legally binding, is of significant political weight in setting out the basis for the UK's future relationship with the EU. The uncertainty surrounding Brexit needs to be considered in the light of continuing international economic and political concerns. Overseas investors will continue to look for attractive assets and income streams. Brexit notwithstanding, UK real estate has retained its appeal as a safe haven where businesses, individuals and funds can store, protect and grow their wealth. Indeed, there are a number of factors that have combined to make UK real estate an excellent investment opportunity. Perhaps of most significance is the ongoing weakness of the pound. Sterling plunged to a 30-year low following the vote, and the exchange rate remains favourable to overseas buyers. Although the Bank of England has raised interest rates to 0.75 per cent, they remain at historically low levels and, assuming there is an orderly Brexit, any further increases are likely to be limited and gradual. Unemployment remains low and there has been a slew of other better-than-expected economic data. In addition, a number of trophy assets have come to the market and the 'super prime' market in the residential sector has recorded significant price reductions because of falling volumes, creating a buying opportunity. These and other factors mean that the UK has become a slightly more affordable global property hot spot. Uncertainty will continue as the UK proceeds with the extraction process. Negotiations with the EU and global trading partners are likely to be complicated and protracted, with the remaining EU members being very wary of being seen to give the UK a 'soft' deal. Concerns remain that businesses may seek to relocate or downsize their UK operations, and this is tied to fears about tighter controls on the free movement of people. Announcements of employees relocating have so far largely referred to inconsequential numbers. In addition to the effects on businesses generally, restrictions on immigration will be a particular problem for the construction industry, which is heavily reliant on the EU for skilled and non-skilled labour. In summary, the UK real estate market has held up better than many in the industry expected, but there will undoubtedly continue to be bumps and corresponding opportunities along the way as Brexit becomes a reality. As far as the property industry is concerned, the effect of Brexit on market conditions has always been of far greater significance than the purely legal implications. However, a recent application to the High Court has raised the question of whether Brexit might frustrate existing leases. The European Medicines Agency (EMA) is responsible for approving drugs for the EU member states. The EMA has made it clear that it will leave its London headquarters and relocate to a new European headquarters in Amsterdam when the UK leaves the EU. This means that its existing offices at 30 Churchill Place in Canary Wharf will become surplus to requirements. The EMA's landlord, Canary Wharf, has sought a declaration that Brexit will not frustrate the EMA's lease. If the court decides that the lease has been frustrated, the EMA will be able to walk away without any further liability for rent or other obligations under the lease. Such a decision could have far-reaching implications for a number of landlords and may also apply to a range of other contracts affected by Brexit. However, it seems likely that Canary Wharf will be successful. Frustration applies where an intervening event has made performance of a contract impossible, illegal or significantly different from that contemplated by the parties. The courts will not allow the doctrine to be used to avoid a contract that has simply become a bad bargain for one of the parties. Having headquarters outside the EU would undoubtedly be very inconvenient for the EMA, but it seems unlikely to be sufficient for a court to rule that it would be just for it to avoid its obligations as tenant. Subject to the outcome of the above application, Brexit does not have any direct legal implications for the way in which UK land is held and transacted. Overseas investors will continue to be able to own, sell and lease UK real estate without any legal restrictions, and registration at the Land Registry affords secure title backed by a state guarantee. The effect on inward investment is more dependent on the wider economic and political considerations that come with UK independence and the form that ultimately takes. That is not to say that Brexit will not have an effect on real estate transactions – clearly, the market is driven by the need for occupiers and Brexit is going to have some effect over where businesses choose to locate. Property documentation will continue to reflect the ongoing uncertainty while the model and timetable for the UK's exit are determined. The trend towards shorter, more flexible leases will continue as occupiers monitor the position and weigh up their options. Break clauses, alienation provisions and rental structures will be a particular focus, both for new deals and for the re-gearing of existing leases. The rapidly expanding serviced office sector, dominated by the likes of WeWork,2 provides occupiers with the flexible, well-connected space they require during this period of uncertainty. The position in relation to environmental and climate change law is very different. EU legislation governs the vast majority of the UK's environmental and climate change law and policy. This in turn affects the environmental aspects of the planning process. State aid and procurement and the Alternative Investment Fund Managers Directive are also governed by EU regulations. Brexit will have significant and direct implications in all these areas, although our expectation is that much of the environmental legislation is here to stay. Investors in infrastructure and energy will also be aware of the effect of Brexit, while the mining and minerals market will be less affected. Although it is impossible to predict the future, the outlook for UK real estate is more positive than had been feared, progress has been made and there is cautious optimism for the successful conclusion of an orderly Brexit. Real estate practitioners can help their clients to develop an appropriate post-Brexit strategy to ensure that risks are assessed and monitored and opportunities are taken, some of which may arise because of exchange rate movements. To many overseas investors, the announcement in the 2017 Budget that gains made on direct and indirect disposals of UK commercial property by non-residents will be subject to tax from April 2019 is of far greater significance than Brexit. The proposed introduction of a new beneficial owners register for overseas entities owning UK real estate may also deter inward investment. To achieve some perspective on the inevitable uncertainty, it is important to see Brexit in a global context. Concerns about North Korea, China and other emerging market economies, the Trump administration, trade tariffs, oil prices, tensions in the Middle East and political instability in Europe all mean that UK real estate will retain its appeal for overseas investors. However, there is no room for complacency and it is clear that the UK must work hard to ensure that it remains attractive to investors and continues to play a key role in the global real estate market. 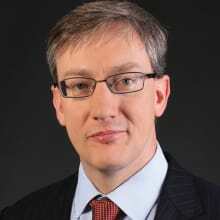 1 John Nevin is a partner at Slaughter and May.